Vern and I tock Victoria Elli Jessy and Pearl camping over the weekend . 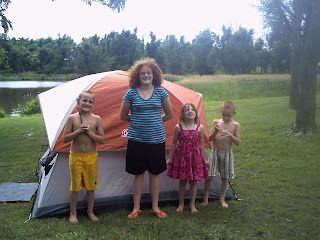 The kids had a good time Fishing and was mesmerized with a pair of barn owls that favored our camp. This owl raided our camp and sit next to our camp fire for a few hours sat on the ground 4 feet from me for a few hours it never moved even when I got up and added a log to the fire. 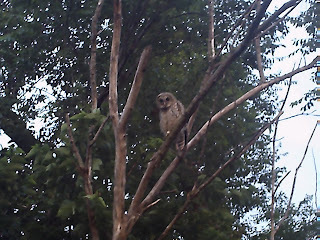 I have never had such enjoyment as this owl gave me ,trusting me not to harm her she was so gorges and seemed very nosy to the going on of the camp.